It’s UNESCO World Radio Day, in the member states of the United Nations. 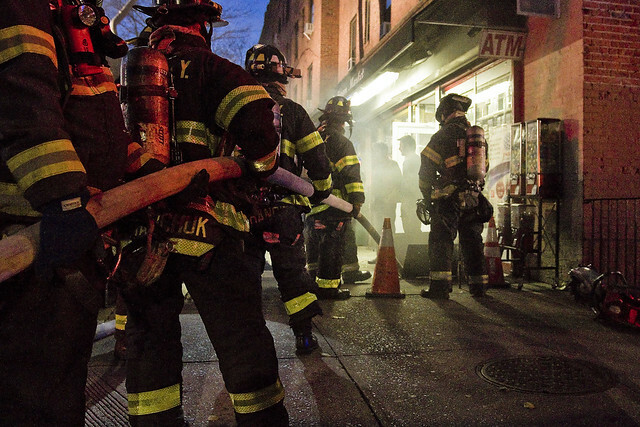 Today, the focus is on the FDNY – the redoubtable Fire Department of New York City. The men and women of this municipal service are amongst the most visible manifestations of our collective willpower and substantial tax base, here in the five boroughs. It’s hard not to notice the sirens and flashing lights when they show up, either to quench a fire or to pick up some unfortunate soul who requires a speedy trip to the hospital. 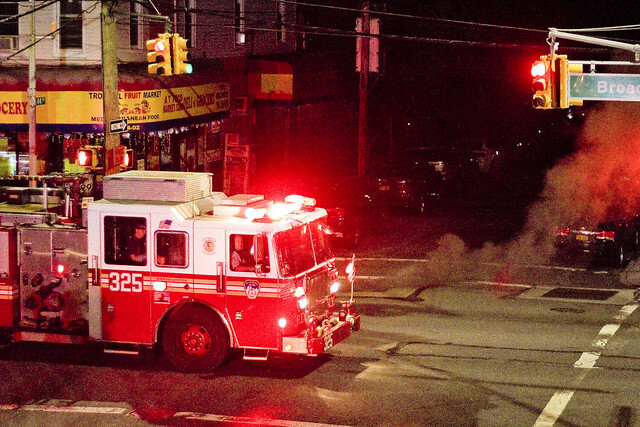 FDNY runs, regulates, and operates the EMT ambulance service in addition to their other more obvious duties involving fire prevention and the extinguishing of blazes they couldn’t prevent. They also govern the safety rules concerning public gatherings like stadium games, clubs, and concerts with a small army of inspectors. 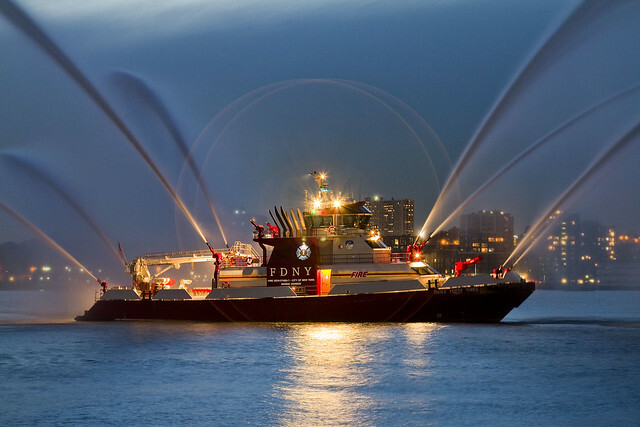 FDNY has a spectacular Marine division, which in addition to many smaller vessels – includes the thoroughly modern and science fiction like “Three Forty Three” and “Firefighter 2” fire boats. Pictured above is the Three Forty Three, doing parade duty on the Hudson River.